Get mixing and making with your Kitchen Kids! Make this yummy (non-fried) cake, cinnamon, cocoa donut or doughnut recipe. We've got great tips for making icing cookies and donuts less messy. Make yummy donuts at home with this cocoa doughnut recipe. Enjoy! 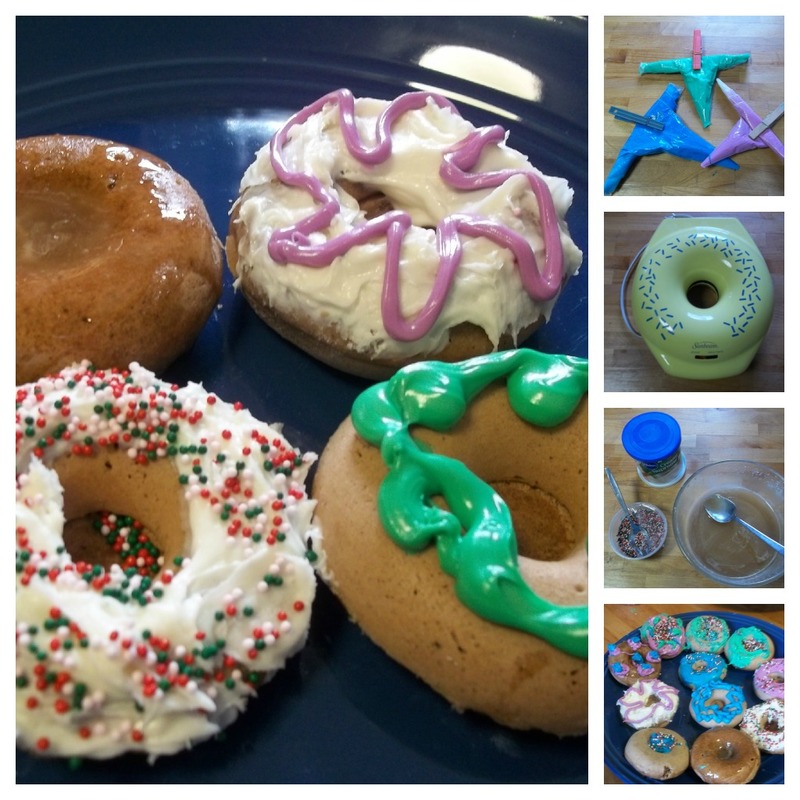 How do you make homemade donuts? With lots of love and family fun. How do you spell doughnut? This Cinnamon Cocoa donut recipe was made with a Donut Maker , but you could also use a cake pop maker or muffin tins in the oven. 2 C. Flour, 3/4 Sugar (we used Splenda Baking Mix in case the Diabetic Daddy snagged one. ), 2 Tsps. Baking Powder, 1/4 Tsp. Ground Cinnamon, 2 Tbs. Cocoa Powder, 1 Tsp. Salt, 2 Beaten Eggs, 1 Tsp. Vanilla Extract, 1 Tsp. Shortening. Warm Donut Maker or preheat oven to 325 Degrees, lightly grease muffin pan (or donut pan if you have one). In a large bowl mix flour, sugar, baking powder, cinnamon, cocoa and salt (dry ingredients). Stir in wet ingredients (milk, eggs, vanilla, and shortening). Beat all together until well blended. Fill each cup 3/4 full. Bake in oven for 8-10 minutes or until donut maker ready lite changes color. Donuts should spring back when touched. 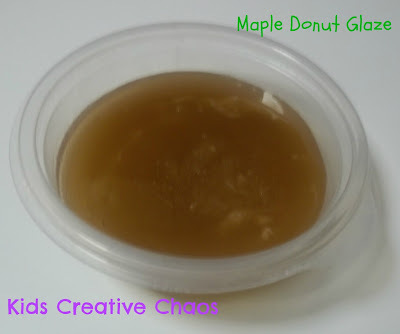 Allow to cool before removing from pan and frosting or drizzling with maple glaze.